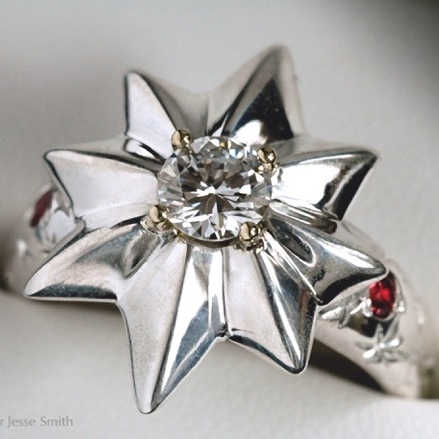 STORY: JJS Custom Diamond Star Ruby Wedding Ring – Please inquire for custom creations, ideas, and pricing. 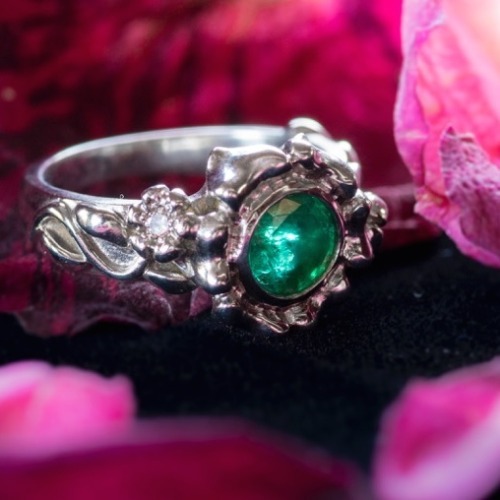 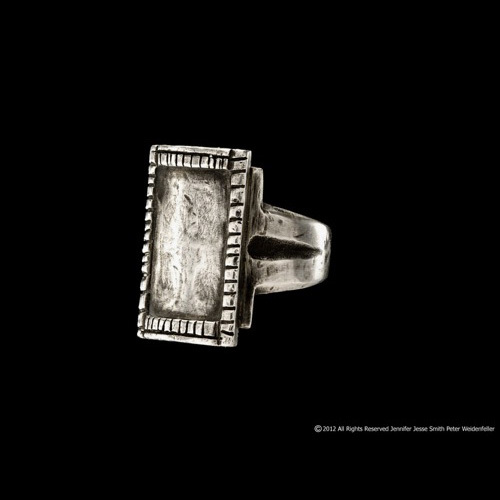 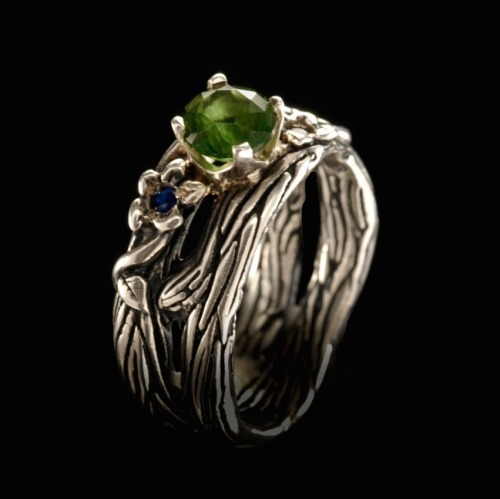 STORY: JJS Emerald Garden Ring in white gold – Please inquire for custom creations, ideas, and pricing. 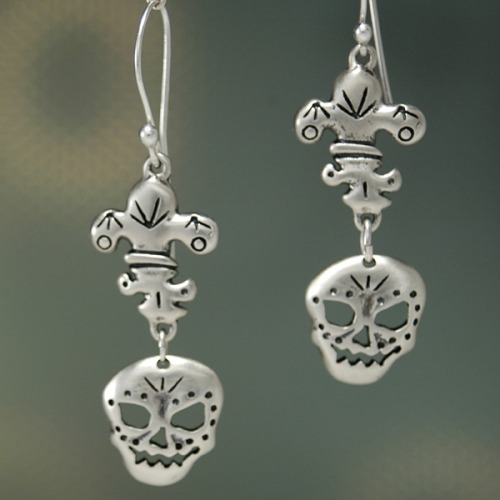 Inspired by the Dia de Los Muertos (The Day Of The Dead), the mystique of New Orleans, and skulls celebrating life. 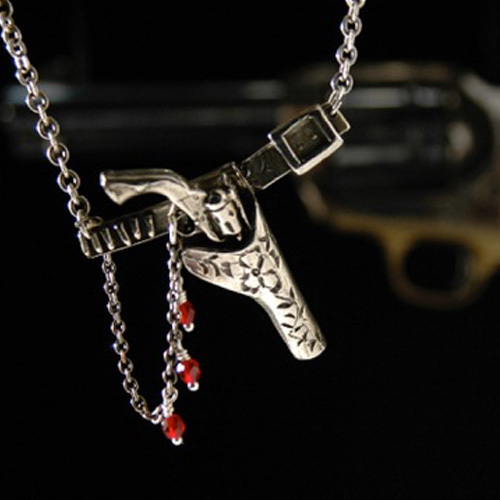 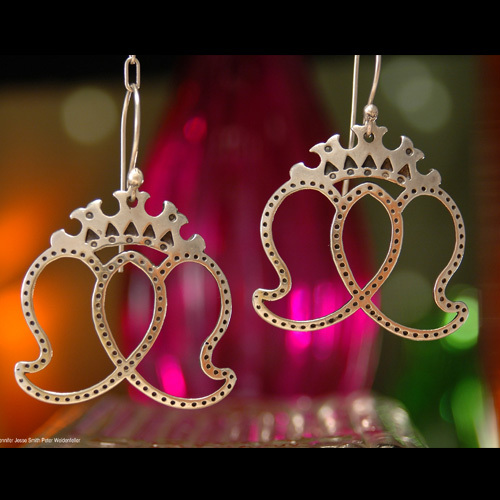 STORY: Inspired by old world Sword hilts, Baroque iron work and the Art Nouveau period. 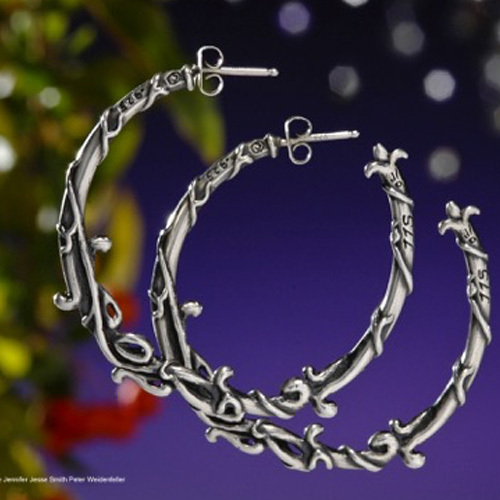 These classic style hoops are an elegant choice~ daily! 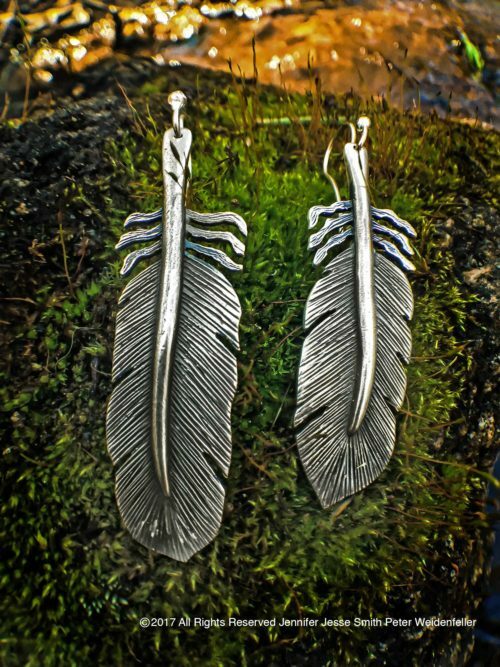 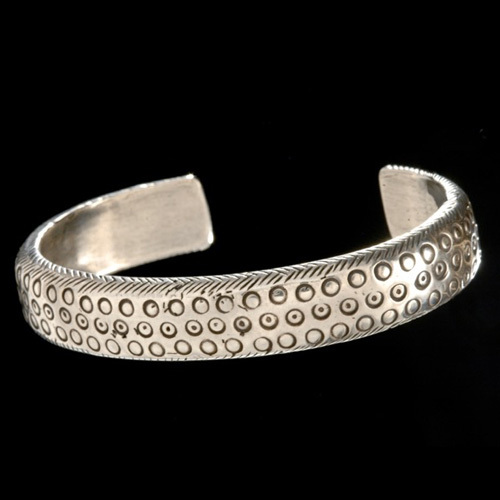 Measures 1.5” Sterling Silver. 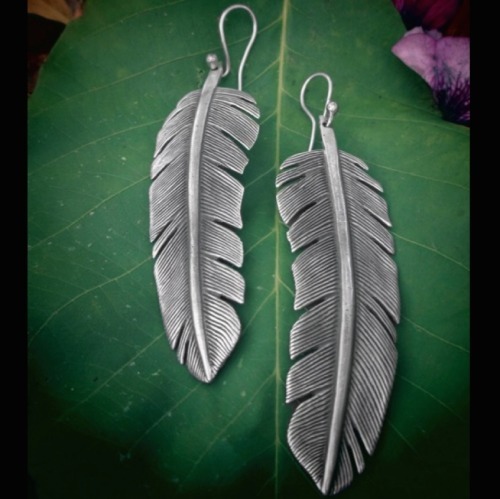 STORY: Fashioned to be felt not just worn, these hibiscus drop earrings compliment your style and flow. 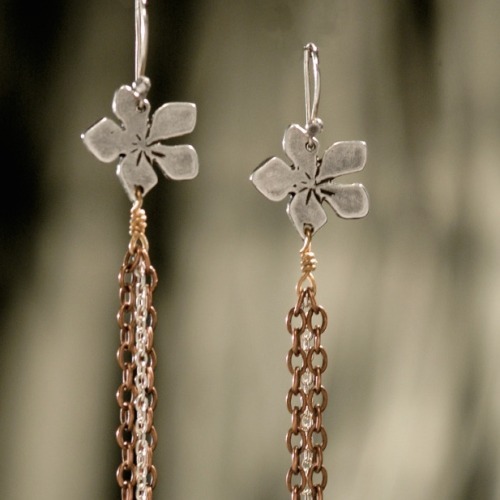 Sterling Silver flowers with sterling & copper chain drops ~ 3.5”.